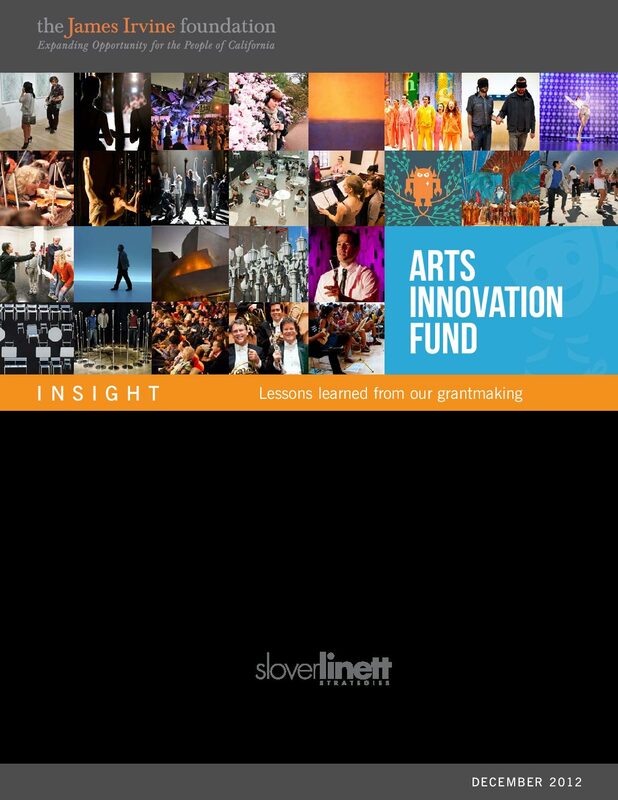 An independent assessment report written by Nick Rabkin, Peter Linett, and Sarah Lee, A Laboratory for Relevance: Findings and Recommendations from the Arts Innovation Fund, captures valuable lessons about innovation and organizational change. These findings will be of interest to arts organizations of all sizes, as well as funders, consultants, policymakers and others who care about the vibrancy and viability of this sector. Let's stay in touch. Sign up for our newsletters. Insights to move culture forward. ©2019 Slover Linett, All rights reserved.